Considering a new print campaign or freshening up an older brochure? Here are a few factors to think about. Who are you trying to reach? 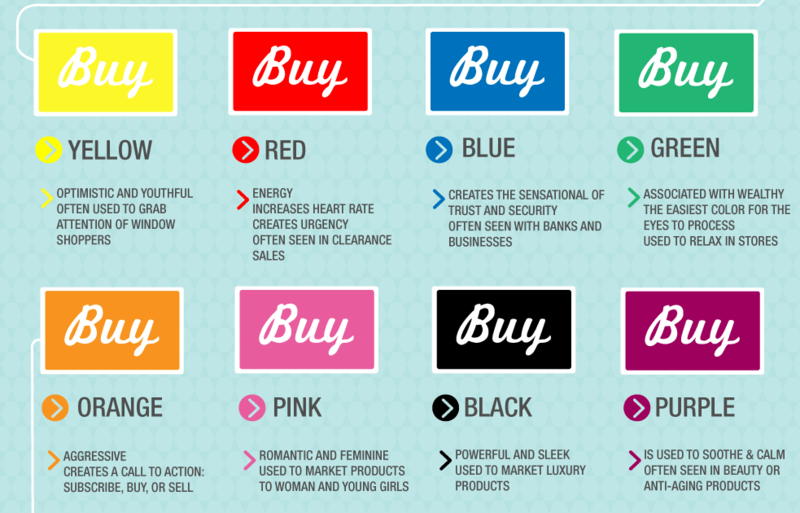 Identify your target demographic and gear your text, pictures, colors, and graphics accordingly. You can establish a strong connection with your audience once you’ve determined the proper age range, gender, and other qualifications. Don’t try appealing to just anyone…or everyone. What should your pamphlet/brochure achieve? Obviously, inspiring interest in your brand, a particular product, your school campus, or a tropical vacation is the ultimate goal. Put yourself in the shoes of your intended audience and ask what YOU would expect. The front of your bi-folds and tri-folds should jump from Brochure Holder to eye. This is your “hook”…the motivation that gets potential customers to take your brochure out of the Ad Holder and see what’s inside. Avoid clutter. Don’t feel obligated to explain every single detail about your operation. Identify the most important benefits and make them the focus. If the copy is overly wordy or hitting points that aren’t as vital, you risk losing interest. What makes your organization, business, or school stand apart? 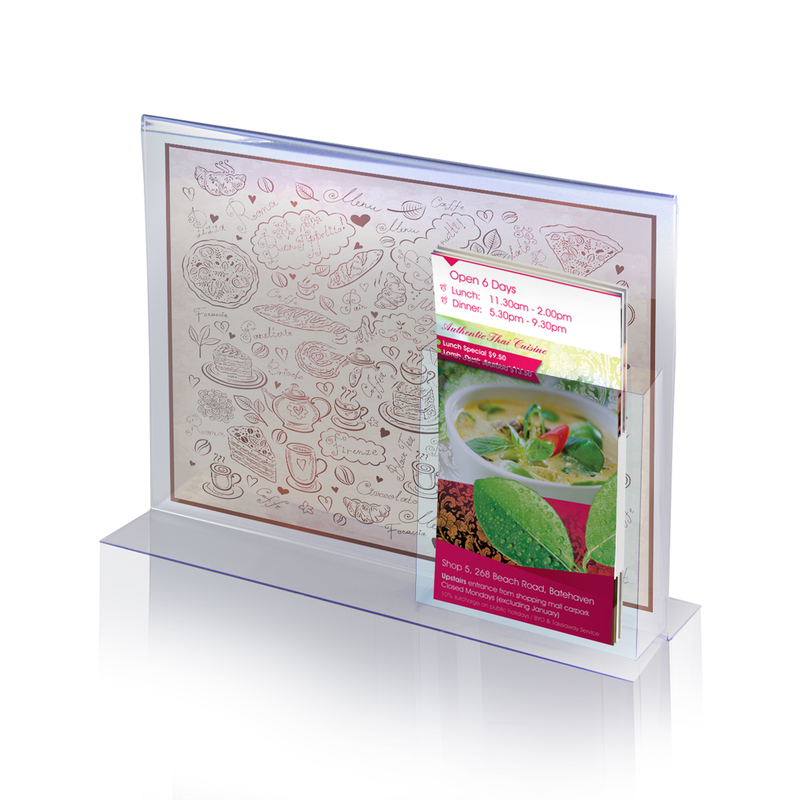 Your POP Display/Countertop Brochure Holder is gathering interest and your new brochure has hooked its audience. Now what? Provide a “call to action” that makes the reader choose you over a competitor. Is it the price point? A rebate? Lower tuition with a higher level of education? Make that point clear and, chances are, your audience will respond positively. KISS. “Keep It Simple, Stupid!” This is not meant as an insult. But remember that people are busy and trying to impress them with your vocabulary tends to have the opposite effect. Same thing with lengthy text. If you want to keep that attention span from drifting, just get to the point. Period. Strategic display location is also key to a successful campaign. If floor space is short on counter space, Wall Mount Brochure Holders may be more ideal for stopping foot traffic. Place this style of Ad Holder at eye level and open new opportunities. Combination Sign/Brochure Holders should also be a consideration. 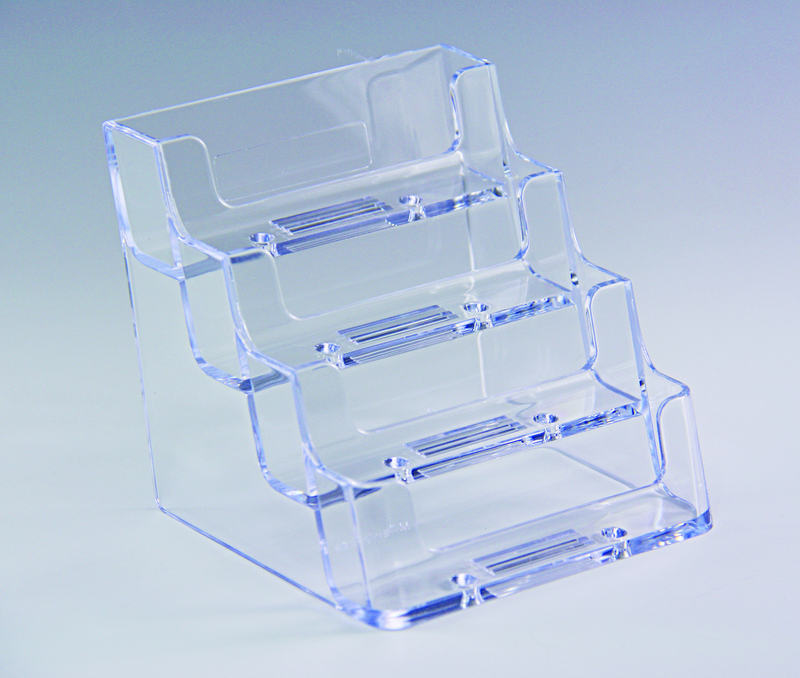 Larger dimensions in Acrylic Sign Holders can be used for bigger ad slicks to capture the eye while the attached Brochure Holder supplies “grab n go” pamphlets and print material. Standing vertically and slanted back to attract attention, the especially ambitious can even offer DUAL Brochure Pockets on either side of the Sign Holder. Double your impact with side-by-side campaigns and see what happens! It may require a little more work, planning, and printing costs on the front end, but the payoff can make it an extremely worthwhile ROI. Another key to a successful campaign? Think about the brand awareness you can add in POP Displays and Brochure Holders themselves. Reinforcing the message in your print material can be done with customized screen printing on the Ad Holders. A corporate logo, brand graphics, or school emblem screened directly to a Countertop or Wall Mount Brochure Holder adds an alluring touch and enhances that oh-so-crucial connection in the memory banks. One more tip to remember: don’t make your brochure copy unnecessarily dated. References to seasons or holidays can detract from your credibility if the print promotion extends beyond those times. If your campaign IS time-sensitive, be sure your staff keeps those Brochure Holders updated! Do you have other design ideas that need to match brochure dimensions with Brochure Holders? That’s an area where Plastic Products Mfg. can help. You can also check our catalog at www.plasticproductsmfg.com for a closer look at POP Display styles and the boost they can give your new brochure and pamphlet effectiveness! A new year means new opportunities. And while you’re making plans to boost profit margins, chances are you already have a solid Trade Show schedule lined up for 2015. Circle those dates because they represent prime opportunities to earn a lot of money in a short amount of time. After all, where else can you find such a huge concentration of qualified buyers and prospective partners in one place at the same time? You simply can’t deny the potential of trade shows…the smart business move is to seize the chance! The trick to a successful Trade Show booth is standing out in the crowd. You might use social media to drive traffic your way, but it is strong face-to-face skills that keep the crowds gathered at your booth. A successful booth layout should offer visual aids including Sign Holders and Brochure Holders to showcase your latest, hottest innovations and products…a complement to your pitch. Since you’ve already invested in attractive print material highlighting your top releases, it only makes sense to give them the proper spotlight. With the right Countertop Brochure Holders leading your POP Display campaign, it’s like having additional sales help in the booth! 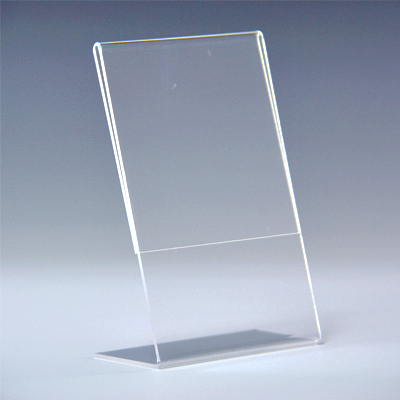 Acrylic characteristics also lend themselves well to trade show environments. PPM Sign Holders and Brochure Holders have the aesthetic appeal of fine glass but stronger visual acuity and significantly tougher break resistance. They’re the ideal POP Displays in less-than-flattering arena lighting, too…cutting through glare and darker areas. Make your booth visitors feel special. In fact, boldly display the word “Special” and pique their curiosity. Your signage can get the ball rolling even before any initial human contact. But you have to show it prominently with strategically placed Ad Frames and Sign Holders that include action-inducing buzz words like “New Item” or “Discount Best Seller.” Give them a reason to buy and let your signage help. Another approach to entice potential customers? Give them a chance to win something! Add Acrylic Donation/Suggestion Boxes to your booth with additional signage promoting an exciting raffle opportunity. How grand the prize is up to your promotional budget but obviously you want a reward that draws attention. Make it worthwhile. Capture eyes with Sign Holders that point the way to a Suggestion Box filling up with entries and build excitement. The short term nature of trade shows already adds to the urgency and every entry is a potential relationship. Visitors perusing trade show floors can feel overwhelmed by the grand scale of product displays, so give your layout careful thought. More color and less clutter can be more effective, especially with polished POP Displays and a good booth location. Try to avoid being near the door…people intent on getting in or getting out are not as likely to stop and smell the roses, much less give your company’s wares the attention they deserve. 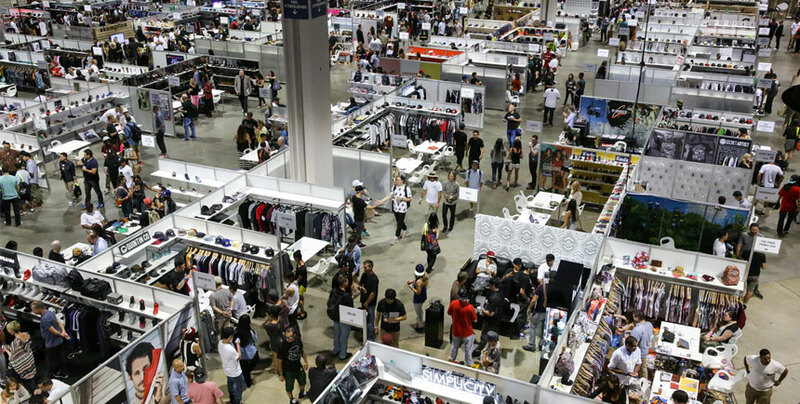 Trade shows are also great places to lay the groundwork for future sales. Rather than closing off your space with a table, create an open environment instead…your own mini-oasis where prospective customers can get out of the crowd and take time to fully explore your displays. Keep your Business Card Holders well-stocked and build future interest and repeat business down the road. 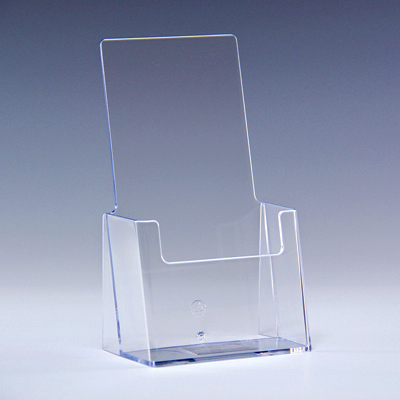 Acrylic Sign Holders with Brochure Holder attachments also serve this purpose well. Hook them with an 11” x 14” slick (for example…many dimensions are available for horizontal and vertical display materials), then have brochures available to grab-n-go. PPM also offers Countertop Sign Holders with Business Card Holders for similar dual-functionality in one attractive POP Display. If 2015’s Trade Show schedule is going to be a busy one, packing, shipping, setting up, and tearing down your booth is extra critical because there’s more potential for display damage. PPM Sign Holders and Brochure Holders are built to take a beating and still be ready for the next show. Attention to detail can go a long way toward maximum return on your trade show attendance. Profit potential in such a concentrated amount of time can really give your annual revenue a boost! Show the world what you have to offer with industry leading Ad Frames, POP Displays, Brochure Holders, and Countertop Sign Holders. Be sure your Business Card Holders stay full and jump start the excitement at your booth with a contest or raffle using solid acrylic Donation Boxes to collect names. And remember that screen printing and customization options are also available to make your Trade Show Booth a true success. A PPM Customer Service representative can help and you can also explore your options in our online catalog at www.plasticproductsmfg.com. All the best for a winning trade show campaign in 2015!